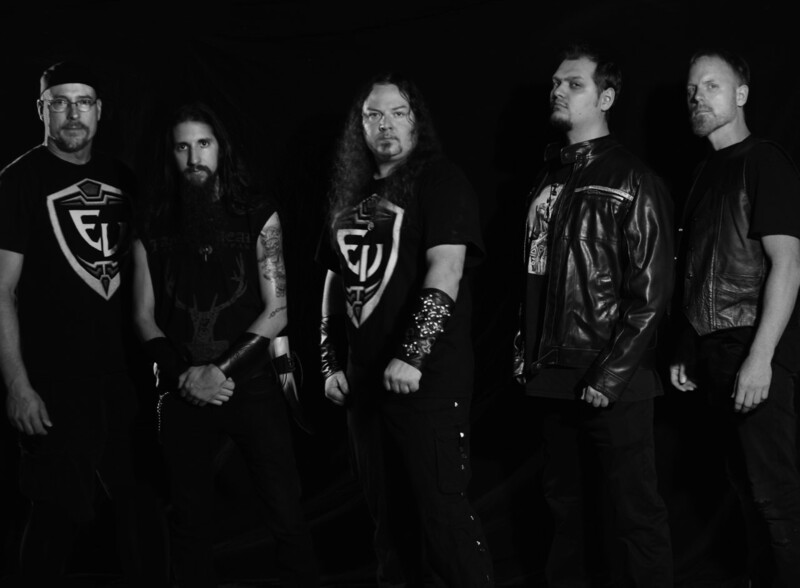 Eternal Voyager is a traditional/power metal metal band from Minneapolis, Minnesota. A little while back I had the opportunity to talk with vocalist/guitarist and band founder, Brian Blake. I want to thank Brian for taking the time to chat with us and I would like to encourage all of our readers to check this talented band out. They can be found on Facebook or at any of the links provided below in the interview. Enjoy! Andy-Please introduce yourself and tell us how the band first came together. Brian-I'm Brian Blake, guitar and vocals, and founder of the band Eternal Voyager. I started writing songs back in 98 which are very different versions that what you would hear today in the band. But, all the same the spirit of true metal was always there. The band didn't materialize until 2003/2004, but that's when the first line up became a reality. It's been a long journey and there's been a lot of member changes throughout the years, but today the current one is the best. We have certainly grown into a much more solid entity. Andy-From everything that I've heard of your band I can attest to that. So, how did you settle on your band's name? Brian-It was tough for me because I've always wanted a good name that meant something to me personally, but also represented the band properly as well. The music is a journey and that's were the voyager part comes from. The eternal part comes from the journey never ending. The music is always evolving while staying true to who we are. It also is about the journey or voyage of the human spirit and mind. Andy-That's cool and I can appreciate all of that. On your most recent album (which I totally dig!!!!) I hear a little bit of everything from Judas Priest to Armored Saint along with the likes of Saxon, Iron Maiden, Manowar, and Iced Earth. Talk to us about your influences and what drives you musically and personally. Brian-Well, that's one question I get a lot and I'm always surprised by what people hear in my songs. Especially because I wouldn't hear that particular influence myself. For me I see the sound as being a lot of bands you mentioned, but others as well. The ones I'd say would be Iron Maiden, Iced Earth, Hammerfall, Manowar, etc. But since I listen to so much metal both old and new it's hard to tell were my influences are going at this particular time. Because there's always new stuff creeping in it adds to that whole process of the evolution of our sound. I like power metal mostly, but I also like pagan and some black metal as well. But Voyager for the most part will always have this style and feel...even though you grow musically. Andy-You re-released your 2014 album this year and I was wondering about the reasoning behind that? Brian-That is actually not true at all. We didn't re-release the album at all! I've heard that before and I'm like re-release? Where did that come from? I think the confusion has come from press releases done by either PR people or different reviews. The album was self-released by us in 2014 and that's all its ever been. I'm not totally sure how this rumor started exactly. We have been on many different distributions around the world so maybe they have said that. But, there's been no re-release from us personally. Andy-My apologies then. It looks like I stuck my foot in my mouth with that one LOL! Moving on then, when can fans expect a follow-up to "The Battle Of Eternity"? Brian-Well, we are currently in the studio right now. We have done a bunch of pre-production for ourselves over the last few months and we will start tracking drums on the 25th of June. (Editors note: Yes, I'm late with posting this interview as you can see!) We are hoping to be done by the fall and then release the album in late fall or early winter. The title of the next album is called Darkened Times and is much more dynamic than the first one. It will be the next chapter of the continuing story line, but it will be darker in sound and lyrics. It will still have that same voyager feeling though. We have a new producer and I've heard so many good things about him that I had to check him out. Soon enough I was convinced that he's our guy. Also, the mastering will be done by Stu Marshall (Death Dealer, Blasted To Static, ex Dungeon). Andy-To that end do you have a lot of songs worked out already and if so can you share any titles with us? Andy-I can't wait to see and hear the finished product! Changing gears some, who are some of the bands that you've played with and who would you love to play with if given the chance? Brian-We have played with a ton of local bands in our scene, too many to name. We have also played with Cage, Malice, Woods of Yepre, Iron Kingdom, and many more. We also have a bunch of good shows and festivals coming up, but I would love to play shows with bands like Iced Earth or pretty much any of the bigger bands from Europe that are in our genre. As far as bands that I would be happy to play with the most I have way too many favorites to name. Obviously Iron Maiden would be a dream come true. Brian-We have covered some Iced Earth and Iron Maiden in the past but, nothing recently. It would be great to do anything from Iced Earth's "The Dark Saga" album or their "Something Wicked This Way Comes", but we would be open if asked by a label to do anything just for tribute reasons on a tribute album. Especially if we were asked by a label that reflects our style and influence. Andy-Where can our readers find out more about you guys and where you might be playing next? Brian-You can reach us through our Facebook and on our website http://eternalvoyager.com/. Also be sure to check us out on YouTube for our live videos. 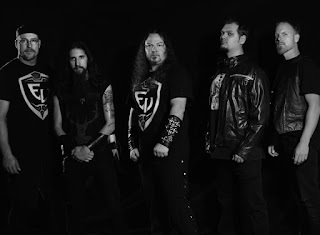 We also have a store for ordering CDs and merch (http://www.nimbitmusic.com/eternalvoyager) and we and can be reached through the website.We have a lot of shows coming up in between the album's recording sessions. Our next show is a festival with Ministry in July and then we go to Chicago for another festival. We play in Milwaukee in August and then then we will be back MN in September. So, we will be busy throughout the summer while recording. Andy-It sure sounds like! Is there a favorite show that sticks out in your mind from the past? Brian-Our first one back in 05 was pretty memorable. I have it on video so some clips from it may be released at some point on a bonus part of a live DVD or something, but we have had a lot of shows good and not so good. I don't really have a favorite. I think the best are yet to come. We have a lot of them filmed so it's fun to see the progress of the band over the years essentially with the current line up. Andy-That's a good point. It's good to be able to look back and see how far you've grown as a band. Speaking of performances and what not, what are some of your essential items for the road and for backstage? Brian-Obviously our gear amps and instruments, etc. But I guess for the most of us good tunes to listen to on the road and good beer/drinks for backstage. Also getting good rest and eating well and just basic warming up and preparation for shows. Andy-Are there any local bands from your scene that you think our readers should check out? Brian-Yes there are a few that stick out like Dawn of Valor, Malice, Down Inferno, Noble Beast, Hollow Stone, Minos, and We Are Legion. There's a lot from different genres. It's a mix so you have to really search. Some of the better ones have come and gone so it's hard to say. We have a lot. Andy-I'll have to check those bands out. What does the rest of 2016 have in store for Eternal Voyager? Brian-Well, there's the new album obviously and the shows I mentioned, but we are also doing a music video that is to be released just before the album. I'm not sure which song, but we have been thinking about "Winds of Fire. And after that it will be just doing as much promotion and shows as possible. We may try for an small tour if the offer stands. The rest is yet to be. So who knows, we really want to get to the next level. Andy-Coolness. When it's all said and done what would you like your band's legacy to be? Brian-To be the next band in the U.S. to really represent this kinda of metal here. Just like Iced Earth. That's my personal goal and whether that will be I can't say, but I will sure as hell try! 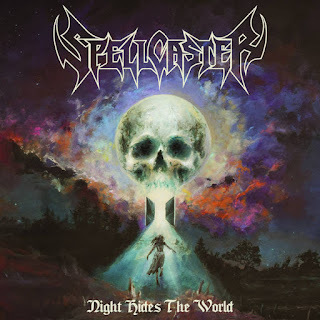 I want Eternal Voyager to be something that stands out and is unique in the metal world today day and to be appreciated by all metal heads for this genre. To have fans world wide and play all over the world. To be remembered as a band that went through hell to be something and one that proudly waves the true metal flag for all. And that I never gave up and never will. Andy-I really hope that ends up being the case Brian. I like to let bands have the last say. Is there anything that we didn't talk about that you'd like to address? The mic is all yours and yours alone! A year or so removed from the band's independently-released debut, "Borderline", Italian metal band Forklift Elevator returns with a brand new EP and a slightly revamped line-up. Long time readers might recall that I previously covered this uniquely-named heavy & harsh outfit (check it out here), but just in case you are new to our blog or don't remember that particular "occasion" here is a brief recap in hopes that it will bring you up to date. Initially formed in 2009 as a cover band, Forklift Elevator spent several years playing in local clubs and open air festivals before reinventing themselves as a completely original outfit in 2012. It wasn't necessary a smooth transition (what with three out of five members of the group leaving after the change over! ), but eventually it all came together for this talented band. Fast forward a couple of years to 2015 and we find Forklift Elevator (having all but perfected their neck-snapping take on nu-metal infused groove thrash!) releasing it's self-produced debut album, "Borderline". That album obviously made more than a few people besides myself stand up and take notice as Forklift Elevator found itself aligned with the damn fine folks over at Atomic Stuff Promotion. All of which brings us back around to Forklift Elevator's new EP. 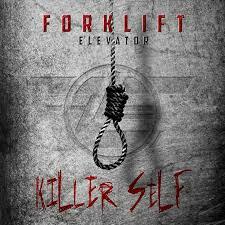 Mixed and mastered at Atomic Stuff Recording Studio by Oscar Burato, "Killer Self" finds Forklift Elevator with a new and improved line-up and a renewed sense of purpose. It also finds this vastly-underrated Italian outfit sporting a way more intense attitude (and then matching said attitude note by note with a new sound! ), but we'll touch on that in a second. 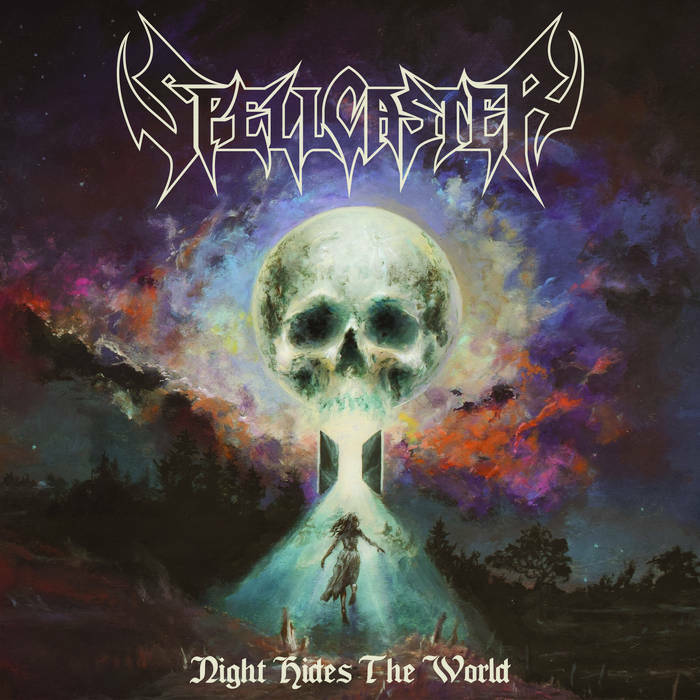 On the vastly superior "Killer Self" we find one-time lead guitarist Stefano Segato making the move over to lead vocals thus replacing the departing Enrico Martin. With Stefano Segato laying down his guitar for a microphone (and in the process flat-out unleashing the beast and then slaying it by way of his wicked voice!) the band obviously needed a new ax man right? Right! Enter new guitarist Uros Obradovic and his smoldering HOT lead solos!! For a band that was once more nu metal than thrash metal the style change that Uros Obradovic brings to the mix is nothing short of insane!!! His lead work brings more Slayer into the picture and in the process it changes everything that you thought you knew about Forklift Elevator. While some of the group's old influences still linger on their band new EP (Pantera, Motörhead, Black Sabbath, Lamb of God, and System of a Down) there is a hell of a lot more metallic bang for the buck thanks to the contributions of Uros Obradovic. On the wicked "Killer Self" I caught a little bit of everything from Alice In Chains and White Zombie to not only the ALMIGHTY Slayer (which is great on the part of this Italian lot I must say! ), but Sepultura and Testament!! Toss in some Iron Maiden, Judas Priest, and Raven here and some Biohazard, Cro-Mags, and Agnostic Front there and you have got one up-and-coming band* that could easily have a really nice career ahead for itself! Give how much this band has evolved and improved between their debut album and this new EP I for one cannot wait to see what Forklift Elevator has in store for release number three! *While not specifically stated, Forklift Elevator is very much a band where EVERY member brings their A Game to the table. Collective this unit is something solid and downright fierce! So, while I might have only pointed out two players of this Italian band everyone involved from lead vocals to drums merely adds to the overall impact that this EP achieves.